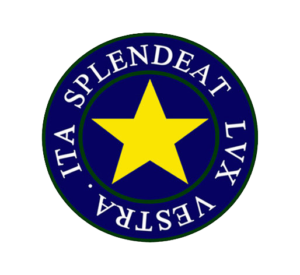 The School’s Crest consists of two concentric circles, in which the school’s motto is displayed in Latin. 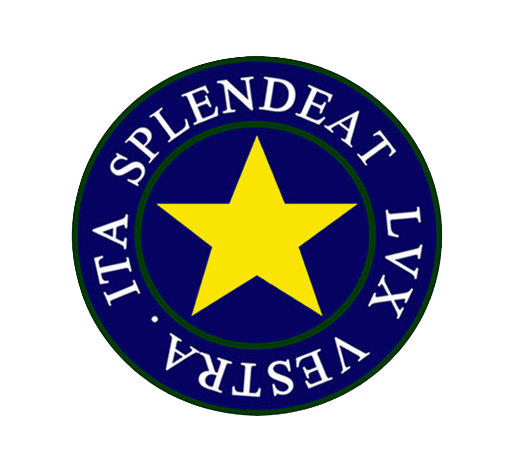 The school’s motto surrounds the school’s symbol, a golden star. The star represents the potential of every individual to harness his or her individual talent and ‘shine’, thus making a contribution to the society in which he or she lives. Reverend Margaret ‘Madge’ Saunders adapted the crest design and motto. The School’s Motto is derived from the New Testament Scripture located in St. Matthew 5:16. In English, it says: Let your light so shine before men, that they may see your good works, and glorify your Father which is in Heaven. The School Uniform is the Black Watch Tartan. 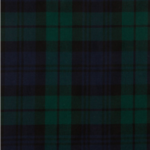 The tartan was chosen to symbolize the school’s solidarity with the Presbyterian Church (Church of Scotland), which would later be amalgamated with the Congregational Union of Jamaica and The Disciples of Christ, to form the United Church in Jamaica and the Cayman Islands. The colour green is symbolic of the greenery and trees of the original meadow like area. The blue is symbolic of the stream and brooks which were present. This was the origin of the name ‘MEADOWBROOK’. As we glorify our father. Guide thou our faltering steps aright. Be present in our School always. Want to know more about Meadowbrook High School?